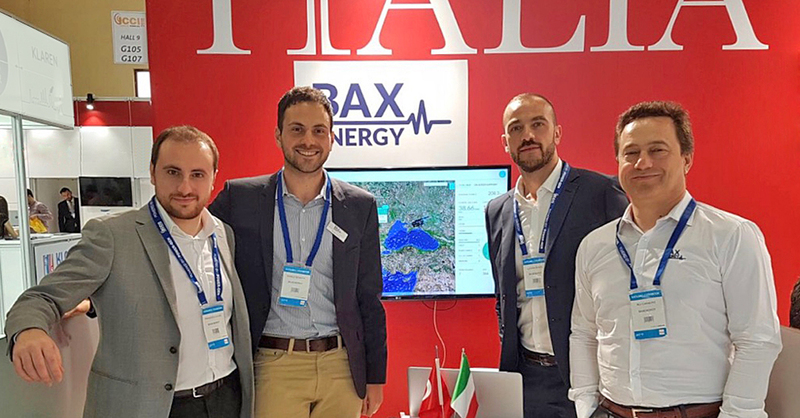 BaxEnergy successfully joined ICCI 2018 in Istanbul! ICCI is a multifaceted international energy fair running since 1994 and regularly attended by 14.000 visitors and hundreds of exhibitors. This year it took place from the 2nd to 4th of May 2018 at the Istanbul Expo Center, the economic and industrial capital of Turkey. To serve the needs of different energy players operating in Turkish territory and for those coming from all over the World, during the conference many markets trends have been addressed, related to hot keywords such as geopolitics in energy, including aspects of EU-Turkey dialogue, energy policies, legislations and practices. The Conference also focused on technical matters like energy efficiency, power forecasting and energy trading, operation and maintenance, recycling systems to reduce the environmental impact, new renewable energy technologies and next developments in the market. The renewable energy Turkish market is rapidly evolving towards a pure market in which energy is not just produced, but also monitored and, more importantly, traded. This raises the need of software platforms capable of forecasting the amount of energy being produced. It also raises the need of making power plants operations more efficient through integrated enterprise asset management tools. In Turkey, BaxEnergy successfully partnered with Smartcon Enerji, but the exciting times ahead call for always new opportunities in the area. Attending ICCI 2018, BaxEnergy contributed to make a donation to the Hope Foundation for Children with Cancer (KACUV), being awarded with the title of “Hope Ambassador”. We would like to thank ICCI organization for this great opportunity and all our guests for visiting us! See you next time!